As the world’s population urbanizes, cities everywhere are working to develop sustainably, protect and serve their citizens, and attract new investment, businesses, and talent. The Hong Kong SAR Government has embraced the idea of the smart city, and the innovations and technologies that will power it. The details of this vision are laid out in a comprehensive Blueprint, along with an initial HK$700 million investment to support key infrastructure projects in six major areas. Namely “Smart Mobility”, “Smart Living”, “Smart Environment”, “Smart People”, “Smart Government” and “Smart Economy”. Of course, when it comes to smart city initiatives, seeing is believing. One place to observe progress is Kowloon East, where a pilot network of smart lamp posts, equipped with useful features such as wi-fi hotspots and electric vehicle charging facilities is being rolled out. The smart lamp posts will be interconnected with a telecommunication network to form an Internet of Things (IoT) backbone. Leveraging IoT sensors mounted directly on the posts, the new smart devices will collect city data, such as weather, air quality, temperature, people and/or vehicle flow related information in real-time. 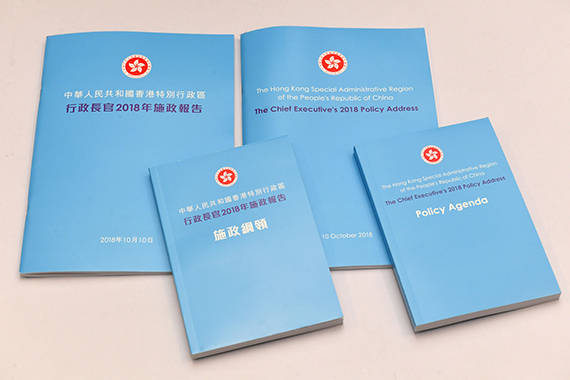 Systems around Hong Kong – including those not yet imagined – will be able to tap into this rich resource, to provide valuable insights and services. The Blueprint is only a starting point. Delivering the smart city is a multifaceted task, and governments cannot execute these transformations alone. Increasingly, private sector businesses are contributing support, solutions, and expertise to help urban areas become smart cities while meeting commercial revenue goals. SAP is already an active player in smart city initiatives all over the world, addressing everything from obvious areas like housing and transportation, to trickier challenges, such as improving the quality and availability of higher education. Throughout 2019, SAP Hong Kong will be sharing major success stories – from retail to property, entertainment and education – by participating in public smart city events, as well as organizing our own. You can get a glimpse of some of the ideas we will be sharing during the year by downloading the SAP “Smart City Revolution” thought leadership paper, which puts forward different points of view as well as some exciting examples of success. There is definitely a lot to talk about. We hope you will join us in this important discussion during 2019. Because the cities we imagine now, are where we will spend the rest of our lives!